Having a pot lid stuck to your kitchen work surface is an uncommon problem with a couple of simple solutions. Obviously, the objective is to remove the pot lid so the counter top is usable. Depending on the reason for the pot lid adhering to the smooth work surface, one of three solutions should remedy the situation. Many pot lid handles can be removed by manually unscrewing them. A well-made, highly polished granite counter top is smooth and flat. Like glass, a polished granite counter top has few, if any, textural irregularities. A suction cup, pressed onto the smooth counter top, would easily adhere. 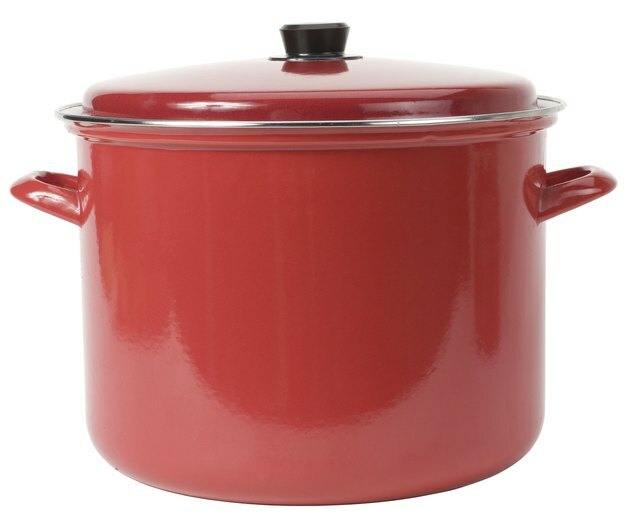 Pan lids are typically made of glass or metal. Glass, and some aluminum lids, are formed in a molding process. Stainless steel lids are typically formed by turning, stretching, cutting and polishing sheet metal on a machine that is similar to a lathe. A perfectly formed pan lid is uniformly shaped and flat on the bottom. Both glass and metal lids may have a screw-on, oven-safe handle. Adhesion between the lower rim of the pot lid and the counter top causes the lid to become stuck. Unless the pot lid or counter top are coated with glue or another sticky substance, the most likely cause of this problem is negative pressure (suction). 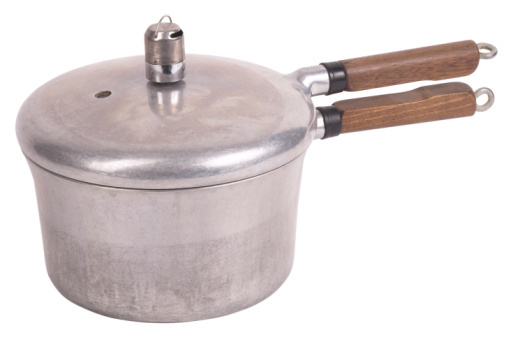 Negative pressure occurs when a smooth, hot, concave pot lid is placed on another smooth, flat surface. Hot air, trapped between the lid and the counter top, condenses as it cools. Since cool air occupies less space than the same amount of warm air, a vacuum is formed between the pot lid and the counter top. To break the vacuum between the pan lid and the counter top, air must be introduced into the space between them. This can be achieved by using manual force to pull the lid from the counter. If this method is unsuccessful, try removing the handle. Air entering the top of the lid will break the vacuum and release the lid from the counter. If the handle cannot be removed from the top, slide the edge of a thin, sharp knife between the counter top and the lower rim of the pan lid to break the vacuum.